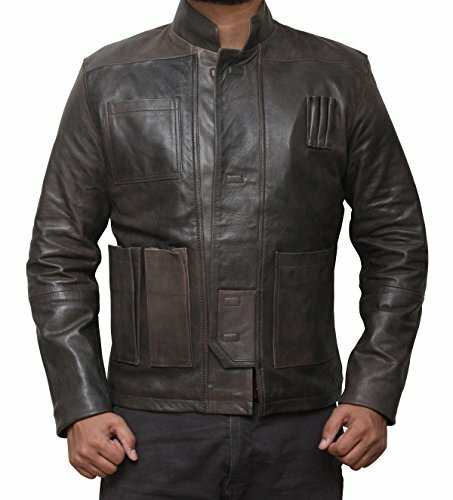 Han Solo Jacket - Moar Stuff - You don't need it but you know you want it. 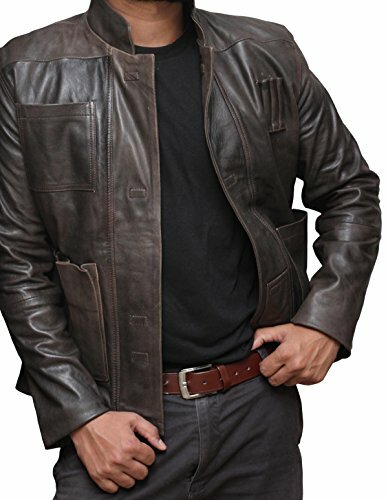 This is a splendid reproduction of Han Solo’s Jacket from the movie “Star Wars: The Force Awakens”. It’s made in same style and with high quality features such as high quality leather, multiple pockets, and even magnetic closures instead of zippers. Having seen it, I have to agree that it’s a fantastic quality reproduction. The outside is as screen accurate as it can be but, it doesn’t stop there. The inside has a quilted stitch pattern and there are 3 interior pockets. There’s a large pocket on either side of the jacket and another leather patch pocket sown onto the left side pocket). Now, for a costume piece, this is overkill. However, as a functional jacket (which this is) It’s freaking awesome! Besides, it really gives it and authentic feel as anyone flying the Falcon would need lots of pockets for tools and parts. It is the “fasted hunk of junk in the galaxy”, after all. In addition, the magnetic buttons are also an excellent touch and just super cool and futuristic feeling. Let’s face it, would people with star ships and Death Stars need to resort to zippers? No, of course not. They’d have these awesome magnetic closures. In addition to being cool, they actually work. They work so well that I’d like to install them on all of my jackets. Sound awesome, right? Ready to throw tour Galactic Credits at me to get one? Well, hold on. there is some bad news. Fortunately, it’s pretty minor. Due to the cut of this jacket, it may be a slightly smaller fit than you would expect. basically, they tend to run a bit small. This is especially true if you have a bit of a gut. On the plus side, the maker’s customer service is awesome. I’ve heard of people having no issues getting exchanges. If you’re a Star Wars cosplayer, you’ll love this jacket. Hell, if you’re just in the market for a stylish leather jacket, you’d be hard-pressed to find a better deal. In fact, I wear mine all the time and you probably will too. Styled to look like Harrison Ford’s jacket from Episode VIII. 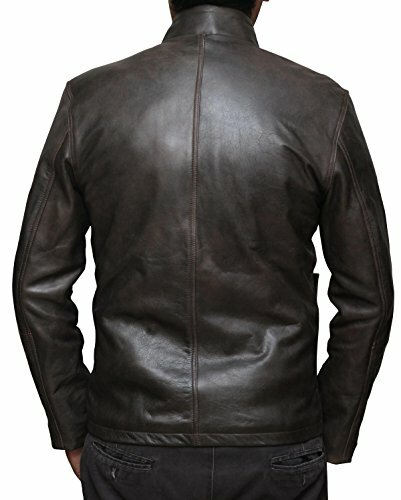 Brown leather jacket with multiple pockets and magnetic closures. Multiple sizes available. 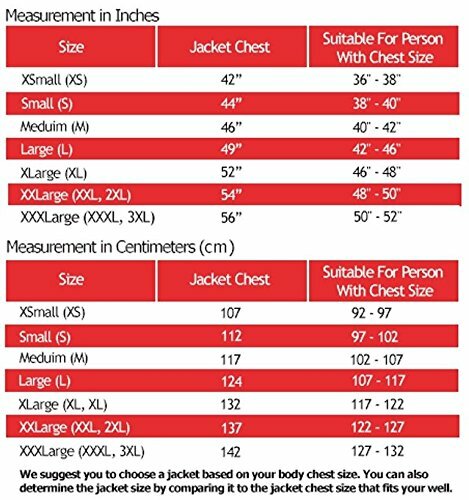 Consider ordering a size up. Like the one in the movie, this one is also NOT lightsaber resistant, unfortunately.